One of the great aspects of the program is the professional experience a SJW receives during her year of service. The specific responsibilities and hours of work for each placement are negotiated depending on the placement site’s needs and the applicant’s skills and interests. Case manager provides outreach, assessment, treatment planning, linkage, and mental health rehabilitation services as part of a multi-disciplinary team working with adults who are homeless or recently housed, many of whom have exited or been diverted from correctional facilities. Volunteer Coordinator provides orientation, direction, supervision and support for all volunteers at the transitional shelter for women and children. Holy Family Community is the retirement residence of the Sisters of St. Joseph of Carondelet, Los Angeles Province. Located at Carondelet Center, Holy Family’s mission is to provide a supportive home-like environment in which care is given and independence, personal goal setting and decision making are encouraged to whatever degree possible. Within the framework of Holy Family Community Philosophy and Goals, the Life Enrichment Staff is responsible for assisting Holy Family co-workers in the delivery of comprehensive, holistic services and opportunities to the elder Sisters of St. Joseph. Such tasks may include developing and coordinating lifelong learning programs, classes or events and assisting Activity Department staff in the development and implementation of programs for well-being, health promotion and wellness. The goal of all activities is to provide opportunities for ongoing enrichment, intellectual wellness, stimulation and education for residents. 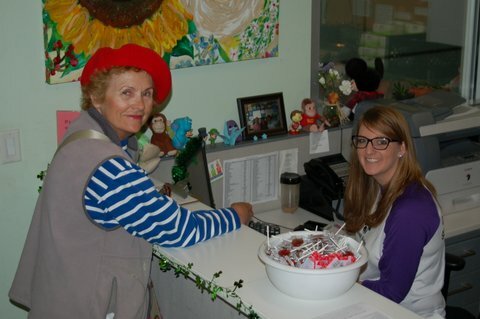 The Day Center Services Coordinator assists in the implementation of our bustling drop-in Day Center programs and provides direct services and operational support through a trauma-informed lens of service delivery. The Day Center Services Coordinator is integral in maintaining a safe and welcoming environment as well as assisting in the triage and linkage of participants to appropriate levels of care within DWC and in the community. Assistant Case Manager. Homeboy Industries serves high-risk, formerly gang-involved men and women with a continuum of free services and programs, and operates seven social enterprises that serve as job-training sites. Here Care Coordinator function as liaison between patients, providers, and the healthcare system. Care Coordinator ensures that patient needs, discharge planning, and care coordination efforts are all coherent with care management criteria. Community Outreach / Social Media Coordinator-St. John Chrysostom School is looking for a vibrant and dynamic individual to help liaison new relationships, nurture existing relationships and helping increase St John’s social media and online presence. St John Chrysostom School is over 90 years old and has served the local community of Inglewood, CA faithfully. This Venice, CA Center helps low-income and homeless families and individuals achieve stability and self-sufficiency; it offers TWO of three possible positions: either Homeless Services Navigator or Food Pantry Intern. After school tutoring program teacher, bilingual intake worker and community outreach with Latino families. After School Tutoring Program Assistant. Help navigate recent immigrants through the LAUSD school system. Instructional aide/Intervention program assistant/Development aide.